I love going out for dim sum, the excitement of the the carts getting pushed around the busy restaurant, people hustling around to get the dish they want. And best of all, you usually go out for dim sum with a big group of family and friends so it is always a fun and social activity, and bonus – you can get to try a little bit of everything they serve! 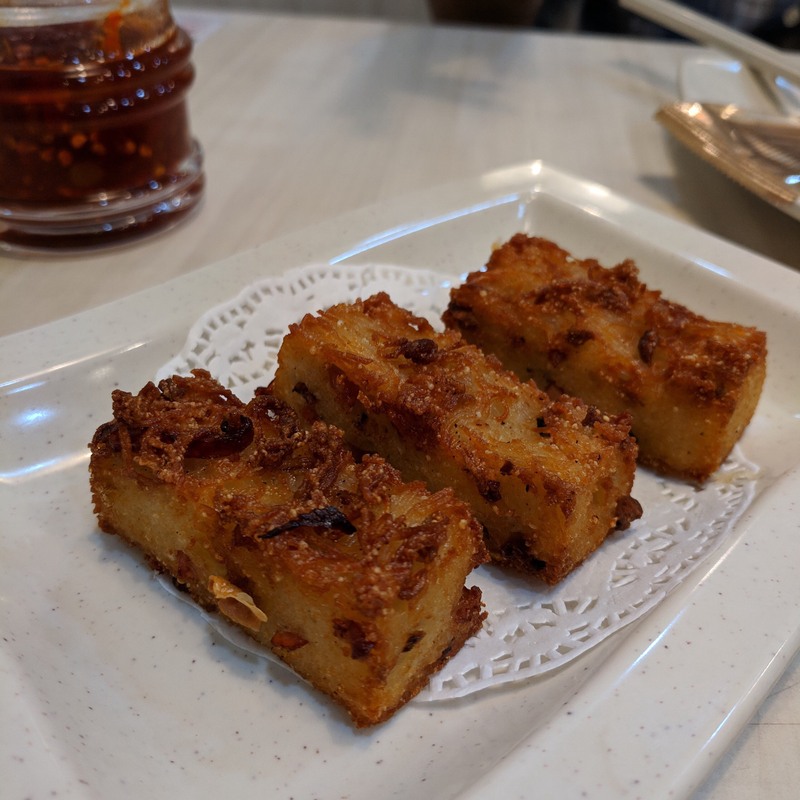 Toronto has tons of good dim sum places but since we live in a suburb outside of Toronto that doesn’t really have any authentic Chinese food, I am always excited to be able to enjoy some dim sum. It has become a treat that we occasionally get to enjoy! Singapore is foodie heaven! Every corner you turn, there are a handful of restaurants, cafes, or hawker centres filled with hungry food loving locals and travelers. It is nice to see so many people that love food as much as I do, haha! 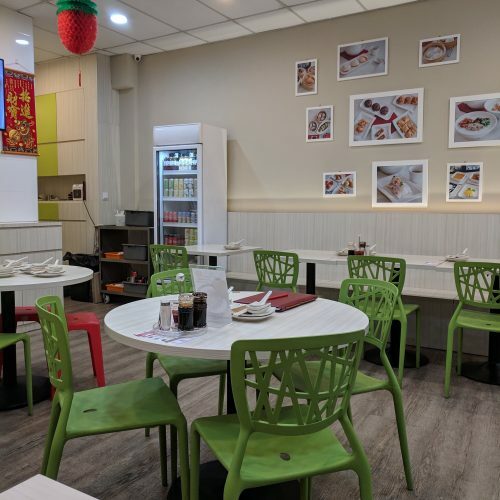 Dim Sum Haus is located in Little India Singapore right across from the Jalan Besar MRT (Mass rapid transit – their subway) station. It is really easy to get to from anywhere in Singapore so no excuse if you visit! 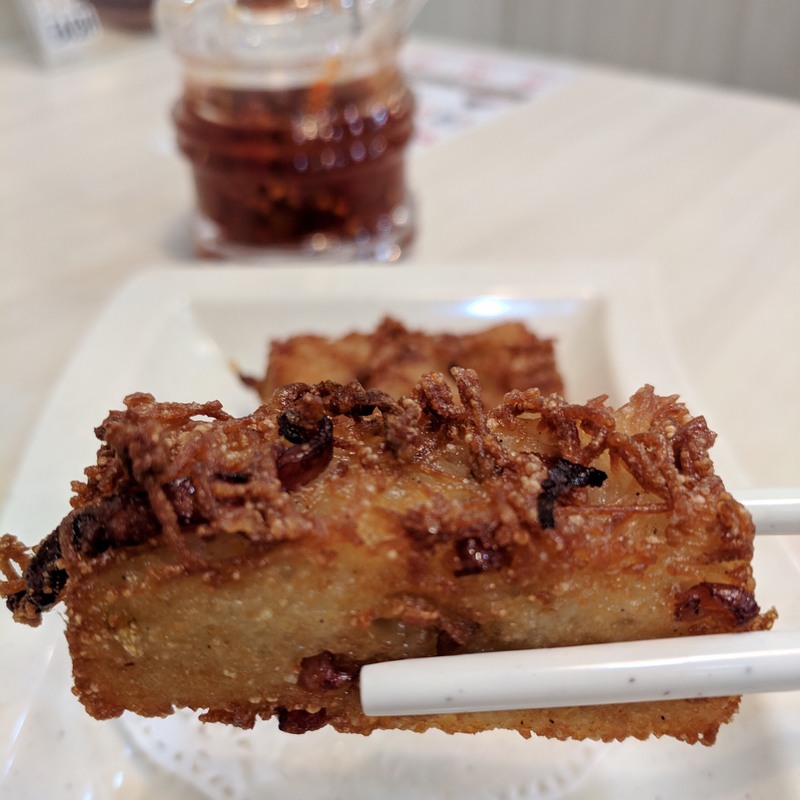 🙂 Dim Sum Haus will celebrate their 2 year anniversary in January of 2019! They have been serving authentic Hong Kong style dim sum that is made fresh and using the best ingredients. Owners Yvonne and her husband Steven work hard to run this business. They quit their day job and dedicated their whole life to serving the community some delicious eats! I have a lot of respect for people who work in the service industry and for a couple to give up so much to run a restaurant in a super competitive market, it is definitely admirable! The restaurant has friendly staff and it is very clean and cozy! It is great for groups of all sizes! Now let’s get to the good part – the food! 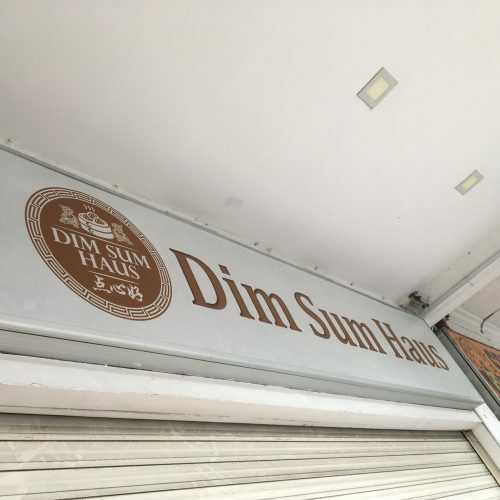 Since we already started eating all over town, by the time we visited Dim Sum Haus, our bellies were half full already. But that didn’t stop us from trying a few of their best selling dishes. We tried the Xiao Long Bao, Japanese Dumplings, Steamed Charcoal Chicken & Shrimp, and the Crispy Mee Sua Kueh. Steamed Charcoal Chicken & Shrimp was loaded with fish roe (tobiko), chicken and shrimp instead of the usual fish roe, shrimp, and pork. 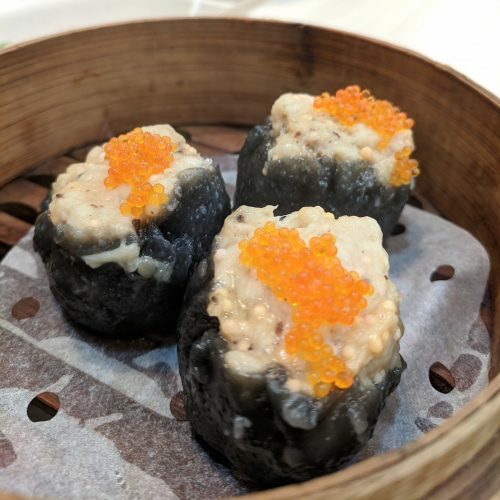 It also has charcoal powdered-wrap instead of the usual yellow siew mai skin. The charcoal wrap definitely gave it a distinctive look but it didn’t overpower the dish since the flavour is quite mild which I liked! Both versions are available at Dim Sum Haus! 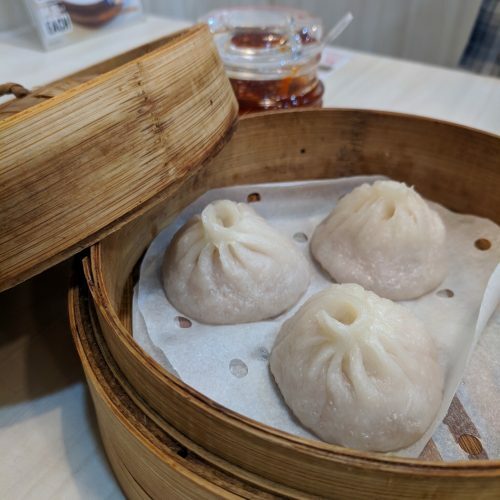 Xiao Long Bao is always a go to dish for me. 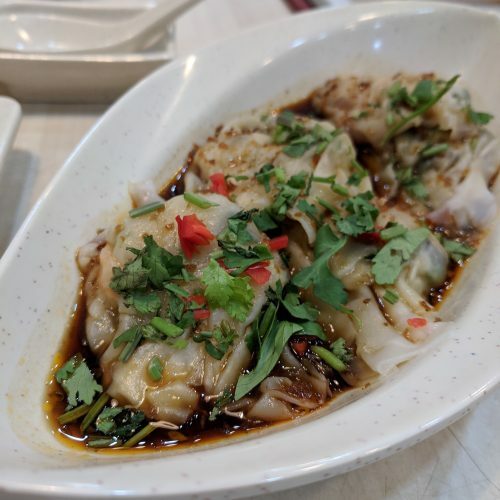 The juicy soup filled dumplings are always a hit in my books. The dim sum haus version was delicious! A burst of soup fills your mouth when you take the first bite and the flavours were truly authentic! Yum! Dim Sum Haus makes themselves. This was the first time I had dumplings like these. They were very flavourful and the chilies gave it a nice touch of heat but nothing crazy! I definitely recommend you try these out! 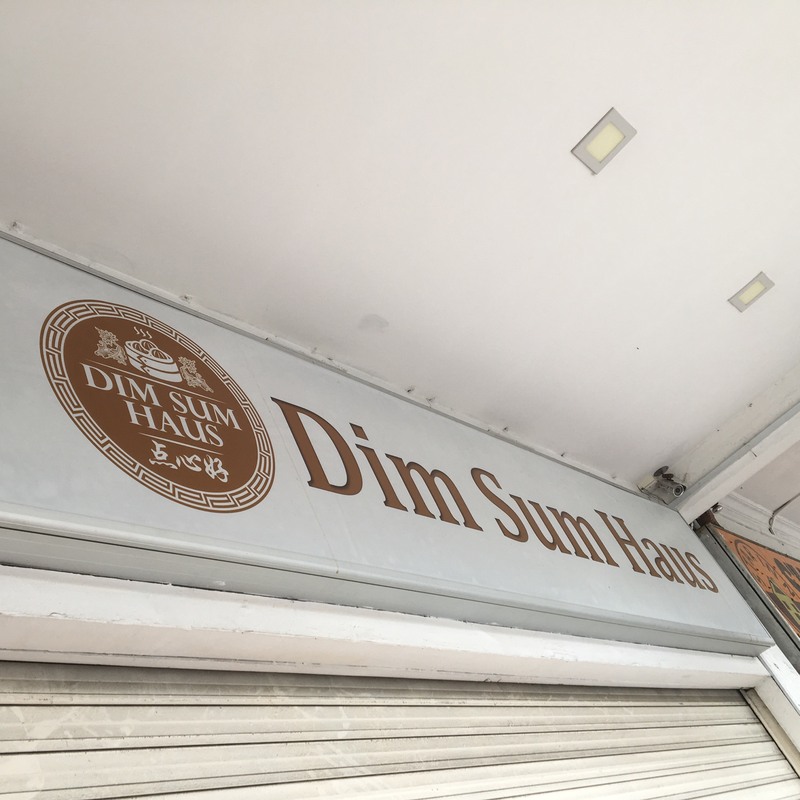 If you are ever in Singapore I would highly recommend you stop by and visit Dim Sum Haus to grab a nice relaxing AND delicious meal! Have you visited Singapore before? What is your favourite travel foodie destination? Comment below!